A shocking act of terror brings the Middle East to the point of explosion. As the resulting political conflict threatens to erupt, a young Jewish American lawyer joins the defense team of an arrested but possibly innocent Palestinian. Soon the lawyer's father, a famed criminal attorney, must win the Palestinian's case or risk losing his daughter forever. To do so, he must take into account the tormented history of the Holy Land from every possible angle. The Trials of Zion combines the tension of the greatest courtroom dramas with the action of a fast-moving thriller, all set against the colorful backdrop of one of the most complex cultural settings in the world. 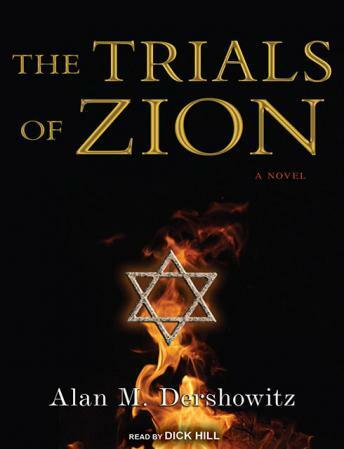 Filled with memorable characters, this novel offers listeners not only compelling suspense but a panoramic view of the history of a beloved and bitterly contested land, and a sharply controversial perspective on the sources of-and the possible solutions to-the world's longest and most crucial international crisis.